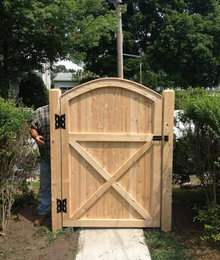 Fence & Gate Problem-solvers - a Gallery by AVO Fence & Supply, Inc.
Quality fence and gate designs can solve odd landscaping challenges, camouflage utility boxes, add safety to uneven yards and make unusual spaces more useful and enjoyable. 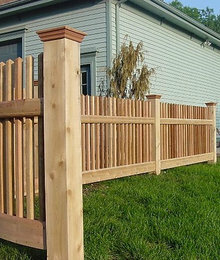 Our design team has the experience to help you create the space you want with sturdy, beautiful fence and gate solutions. 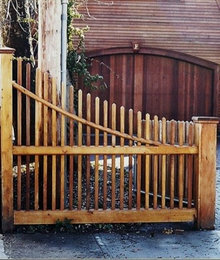 AVO Fence & Supply, Inc.
Functional and beautiful - cedar gates and fencing can create a yard or patio space you'll love. 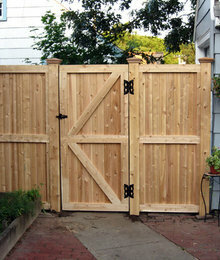 Pretty cedar gates make lovely focal points in even a small yard. 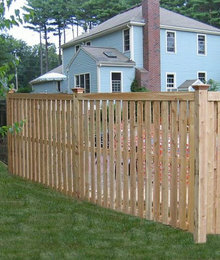 Make your yard more useful with the right fencing. Create the space you want! Unsightly utilities in your yard? Problem solved. Odd landscaping element? 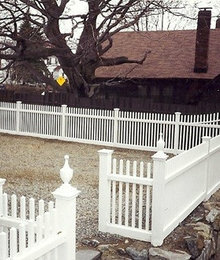 Custom designed fences can turn it into a great feature. Landscaping challenge? 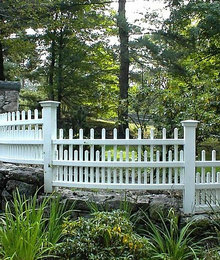 Design a fence to better enjoy your yard! 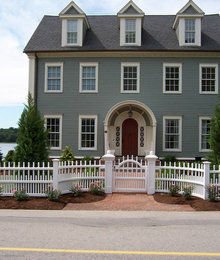 Enhance your home's curb appeal with a fence and gate that matches your architectural style.